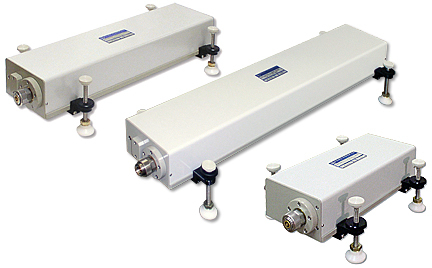 The MT999 series automated sliding shorts are optimized for use with Maury MT981/MT982 series automated tuners in applications where harmonic load-pull or tuning measurements with a high mismatch is required. When used with the appropriate triplexer or diplexer, the MT999A/B/D sliding shorts provide the capability to make the most accurate and reliable harmonic measurements possible. These easy-to-use high-performance sliding shorts deliver a very high mismatch with superb accuracy and reliability over a broad frequency range. The MT999 series automated sliding shorts are designed for use with maury's family of Device Characterization Software tools, including the Maury ATS version 5 (or later) interactive environment and the DLL-based measurement automation environment. The ATS interactive environment is an integrated device characterization environment providing comprehensive calibration and device characterization tools for power and noise optimization. The DLL environment enables direct interface with common programming tools such as Agilent VEE™, NI Labview™, MS Visual Basic & C/C++, and Mathworks MATLAB™. 6.75" x 4.36" x 16.35"
6.75" x 4.36" x 10.49"
6.75" x 4.36" x 23.85"
Device Characterization With Harmonic Source and Load Pull.